BE’ER SHEVA, Israel, May 11, 2016 – Morphisec, the leading provider of Moving Target Defense (MTD) endpoint threat prevention solutions, today announced it has been recognized by Gartner as a Cool Vendor in Security for Technology and Service Providers. 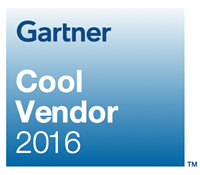 Each year, the leading analyst firm Gartner identifies new Cool Vendors considered innovative or transformative in key technology areas and publishes a series of research reports. Gartner subscribers or Gartner clients can access the full report here. Morphisec inverts the traditional detection security paradigm: It re-establishes market confidence in real prevention of advanced attacks and lessens the dependency on complex and noisy detection systems. Its Moving Target Defense prevention technology does not rely on threat signatures or suspicious behaviors. Instead, it uses the hackers’ own tactics – polymorphism and deception – to instantaneously block and identify attacks. With its recently announced enterprise-grade product, Morphisec protects companies from zero-day, one-day and other exploit-based threats. It mitigates the risk and impact of unpatched vulnerabilities without having to rush into rapid deployment of patches. It does so in a deterministic manner, via a lightweight 1MB agent requiring no administration, no complex configuration, no updates and causing no impact on the endpoint. For more information, visit www.morphisec.com, schedule a demo, or contact Morphisec at info@morphisec.com or 617-209-2552.